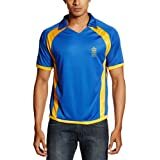 Amazon is offering a great offer for all stylish Sports T-Shirts. Here we can get Sports T-shirts with low price Rs .86. Sports T-Shirts available for Men , Women and Kids. Very Nice Offer.